Although I’ve already made a publication about Marcel Boucher/, but his Marboux brand deserves separate consideration. So, Boucher marked his products Marboux in the period from 1937 to 1955, as well as MB (1950 – 1955). A talented French designer, Marcel Boucher was born in Paris in 1898. His mother worked as a seamstress, his father died when Marcel was still a child. Being the only son of the widow, he joined the corps of the French medical ambulance, instead of the front line during the First World War. After the end of the war, Boucher worked at the Cartier jewelry house in Paris, and he started from the very bottom — as an apprentice. In 1922, Boucher accepts the proposal to become a designer at the New York branch of the “Cartier” firm. After the default of 1929, the demand for jewelry fell sharply and Cartier’s business suffered a lot. In general, it was a turning point for many jewelry companies. That’s why, most jewelers turned to more affordable materials for creating costume jewelry. So, one might say, thanks to the crisis, costume jewelry business has flourished. You never get tired of being surprised by the fantasies of designers, inspired by completely unexpected things – from bicycles and televisions to books and a set of golf as the design of a future brooch. 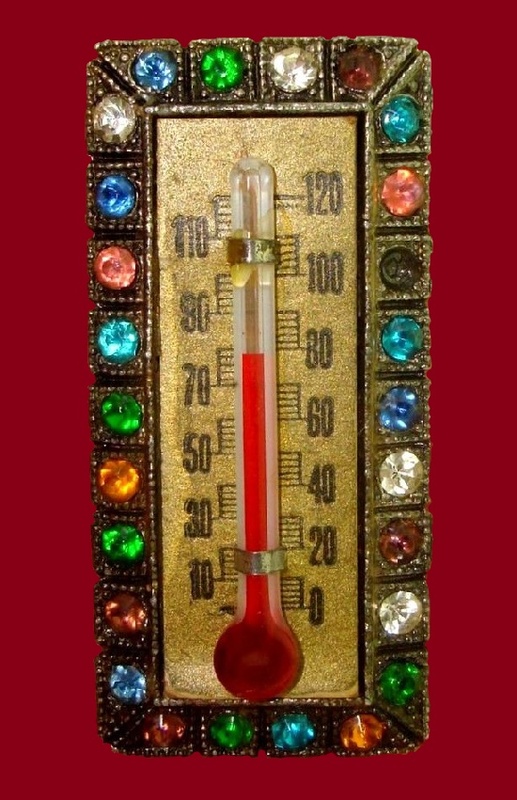 Just look at this brooch, with a working thermometer, by the way! 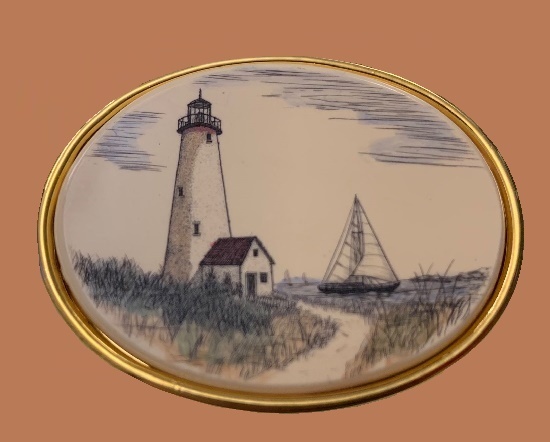 American company Little Nemo produced jewelry from 1913 to 1978 in Providence, RI. Its founders – Benjamin Brier and Sam Magid named the company after the Disney character popular in those years. 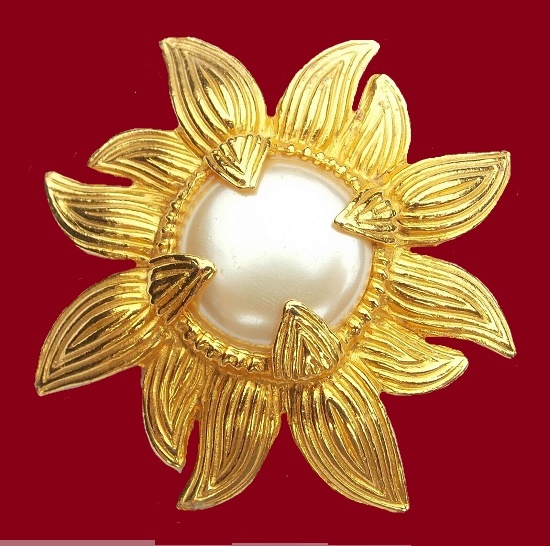 The design of the jewelry Little Nemo has changed over time, yet, the most famous line of jewelry was so-called Czech style. Once, Little Nemo was a very successful company due to the quality stones (imported from around the world) and detailed, “old world” designs. According to sources, Little Nemo was the second largest costume jewelry company in the world, just behind legendary Coro. Noteworthy, the company made custom jewelry for Helena Rubenstein, Revlon and Walt Disney. About Little Nemo labeling. Most of the jewelry was sold only with paper tags, but some decorations included marks “Little Nemo”, L/N, LN, and LN/25. The history of the American company Dodds began in 1952. William Dodds was the successful owner of a plastic factory in Newark, New Jersey. Inspired by the jewelry boom in the United States, he, together with his partner, decided to open a subsidiary. They called it “Jewel Creations”. Noteworthy, in the mid-60s, William Dodds became the sole owner of the company and since then only Dodds mark has been used in his jewelery. Located in close proximity to West 31 Street, Dodds’ production was on 11 W 30 Street. That’s explains such a strange marking “11 W 30 ST INC”. 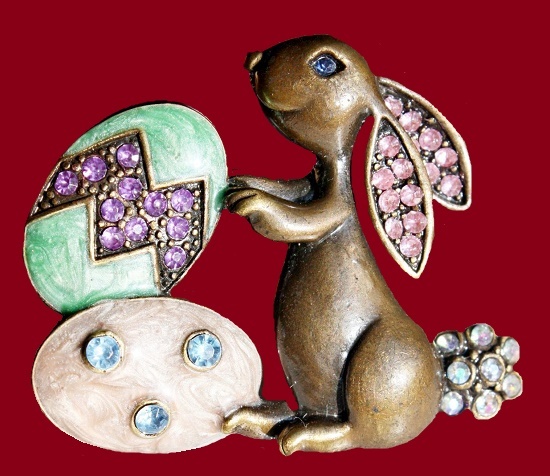 Creating their jewelry pieces, Dodds masters used colored rhinestones, multi-colored stones and lucite. 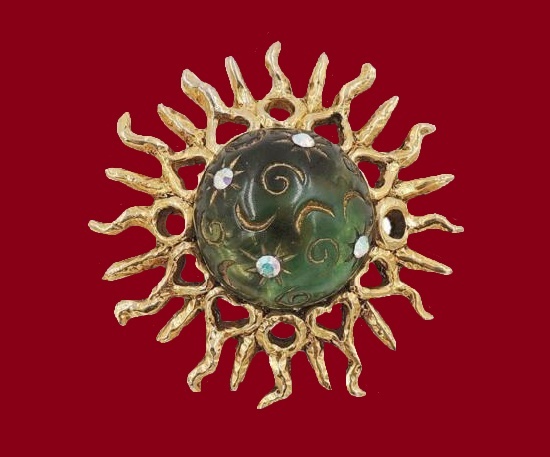 Traditionally of high quality, some Dodds jewelery has a voluminous design. 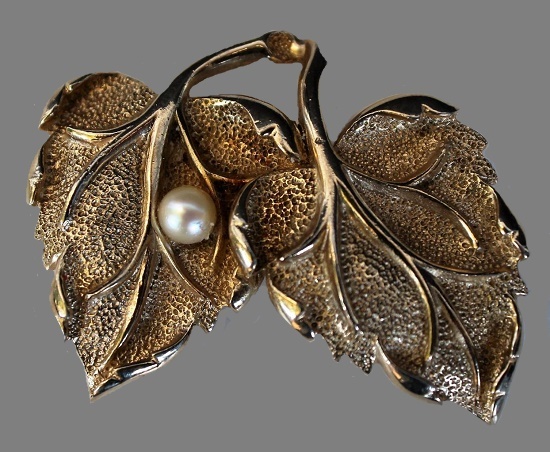 Appreciated by collectors, Dodds vintage costume jewelry is quite rare. Marking Dauplaise – high-quality jewelry and original design first saw the light in 1979. 1980s. 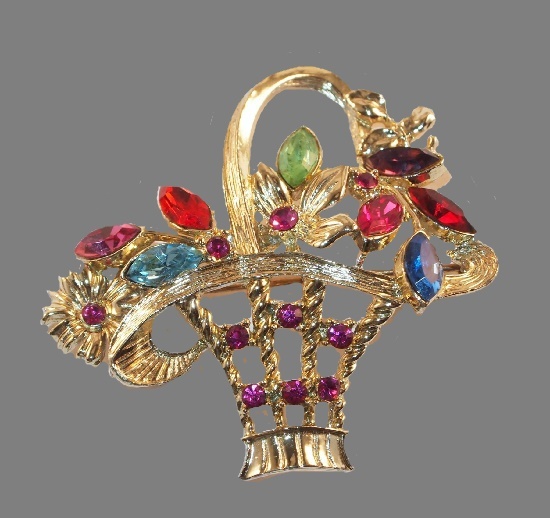 Produced in small collections, these decorations are rare and popular among collectors and lovers of vintage costume jewelry. The company founded by Carol Dauplaise in 1978, exists and and continues to produce jewelry to this day. Noteworthy, Carol Dauplaise worked with Mariam Haskell for a long time, from 1959 to 1978.